Reprising an older episode from October 2014, Planet Money helped us get wise to the Swiss cheese cartel (Schweizerische Käseunion) and how the former marketing and trade company—given the powers of a regulatory body, in effect, by the Swiss government, successfully campaigned and unified production to keep the industry safe and solvent while also promoting and popularising fondue and raclette as traditional, national dishes. Chartered in the midst of the First World War, the Käseunion drew up production quotas and a pricing regime to prevent cheese from being too far devalued. Neutral Switzerland having weathered the war unscathed, it retained its systems of production but no longer had the rest of Europe to export its cheese to. The low demand and high supply was kept under control by the monopoly, who directed production and pared down the thousand varieties formerly produced to just seven authorised kinds and then eventually down to three: the iconic Gruyère, Emmental and Sbrinz. 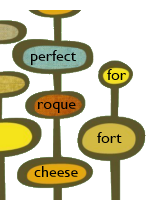 Fondue was not invented in the 1950s and aggressively marketed around the world in the 1960s and beyond as a vehicle for selling more surplus cheese and the characterisation probably is sure to offend but we’re suspecting that that version is not too far off. As attested turophiles, however, we don’t care if the image of bubbling cauldrons (caquelon) of cheese at the ski chalet is a bit of a ploy. 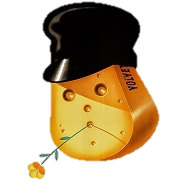 Amid scandal and corruption, the Käseunion was officially disbanded in 1999, and while their legacy is still felt, cheesemakers are free to return to producing some of the heirloom varieties.